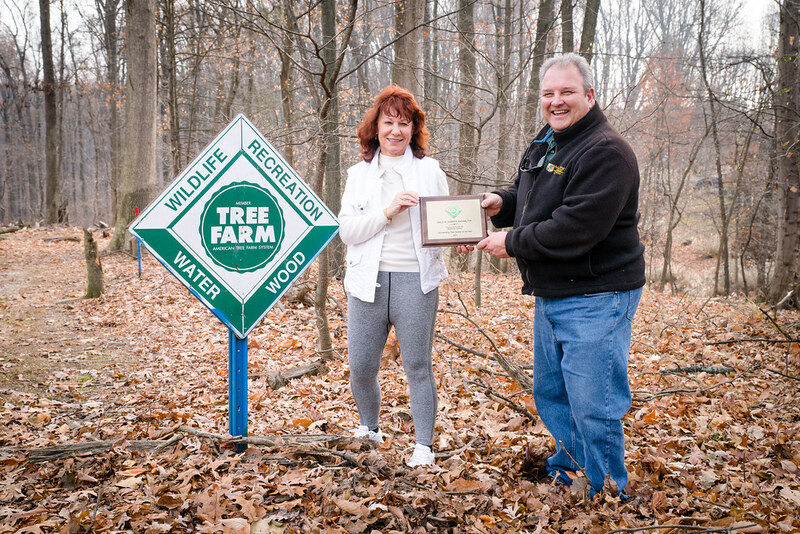 Maryland Department of Natural Resources Forester Rob Prenger recently presented Sally Marker-Showalter of Showalter Tree Farm in Owings Mills with the 2017 Baltimore County Tree Farm of the Year Award. The Showalter family won this year’s county award in recognition of the dedication and commitment to timber production, wildlife habitat, soil conservation, water quality, and aesthetics they’ve demonstrated on their tree farm for close to 40 years. The Showalter Tree Farm has been working in partnership with the Maryland Forest Service on sound management practices since 1979. The American Forest Foundation’s Tree Farm Program promotes the health and sustainability of family-owned forested lands across the country. Awards are given for county, state and national Tree Farm every year.